If you’ve paid any attention whatsoever to the PC industry, you will recognize the name Logitech®. Long synonymous with quality PC products, Logitech has stepped up the push to broaden its’ appeal. You can find Logitech products integrated into just about every facet of personal and business computing today. Keyboards, mice, speakers, headphones, etc. 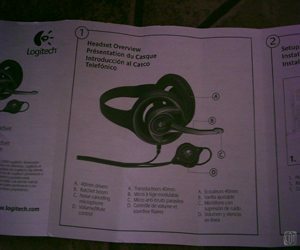 are all encompassed by the retail line manufactured at Logitech. 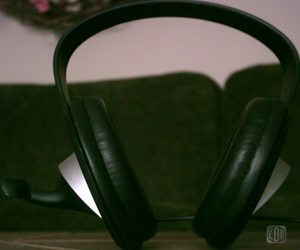 Our time today will be spent taking an enhanced gander at the ultimate gamer’s advantage, the headset/mic combo known hereafter as the Precision PC Gaming Headset or PGH for short. 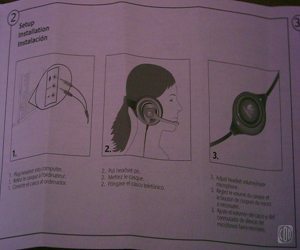 One item I need to mention is the marketing of the headset is, obviously, geared towards the gamer hence the name of the headset. However, those who delight in the audio splendor that is Moby or prefer watching SAW on their PC to spongebob on the telly need not feel neglected. Anyone seeking to enjoy a little solitude from the buzz of the homestead can benefit from these little gems. Gee, does that mean I can have my cake and eat it too? Yes, Jimmy, it sure does. Before we get into that though, let’s take a look at the nuts and bolts, shall we? Here are the specs straight from the horses’ a.., I mean mouth.